WTF—does anyone srsly rent video tapes these days? Is this category even fur realz?!?!?! 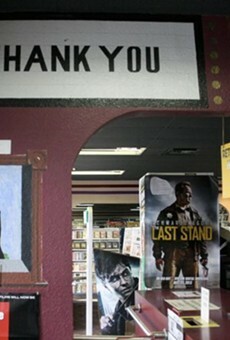 OMG, yes!—thanks to Casa Video, the one place here proving that people still like the old-fashioned tradition of driving to a video store, roaming the shelves (many, many shelves in this case) while munching on free popcorn, and actually picking out a movie or two with your actual hand. Renting movies is thus an experience in itself—way beyond searching through your cable company's options du jour. (With your remote. From your couch.) No worries—Casa doesn't expect you to have a VCR (what's that?!) or anything. They know what DVDS and Blu-rays are, OK? #rentingvideosrules!